We will endeavour to reply to all communications by the end of the same business day that it was received. We will immediately advise you of any changes to legislation or case law that will have an impact on you or your business. We shall inform you of other services Certum Accountants (or associated business) can provide to you, which can improve your business or personal situation. You will not be surprised by any information communicated to you from Certum Accountants, as you will always be kept abreast of your financial situation and obligations. So that we can ensure our communication and commitments, we will be changing some of the ways we communicate with you. Our newsletters are already provided to you via email, and can be accessed via our website. Whereas previously these newsletters were populated primarily with taxation related articles, we are now adding articles relevant to improving your business. We are soon to establish a facebook and twitter page from which we will keep you abreast of minor law changes, business issues, social events and other relevant information. To ensure that we understand your business in greater detail, we will be scheduling regular face to face visits. We want to be part of your management team from a financial perspective, so that we can provide you with the most proactive service and advice to grow your business and protect your assets. All of our accountants schedule time each morning to make calls and attend to other administrative issues. As a general rule, client appointments are now scheduled after 9:30am to achieve this purpose. Further time is made available each afternoon for similar purposes. I personally do not schedule any appointments before 10:00am. 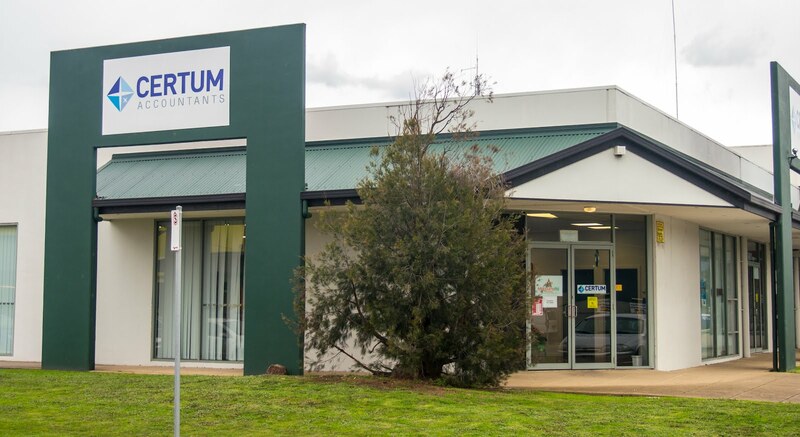 We have set a goal that any job that comes into the office at Certum Accountants will be completed within 10 working days of receiving all required information. We have made this commitment to ensure that you will always know where you stand financially and have the information readily available to make financial decisions. Achieving this goal will require some changes to our existing systems and processes, but we are sure that the end result will allow us to be more proactive in our service to your business. To ensure that we are able to meet this job turnaround commitment, we will be planning our workflow for the entire year. This is based on our current workload and knowledge of your needs. As such, we will schedule an appropriate time for us to complete your work. If this is not convenient or if you require additional advice or services prior to this time, please call us on 52 779600 to discuss. Should you have a job that needs to be completed urgently, a fee surcharge may be charged to compensate our team for working additional hours, or rescheduling other jobs. We will discuss this with you should this ever be the case. Our office will call you prior to the scheduled date to remind you that your job is about to commence, and provide you with a checklist, which will ensure we have sufficient information available to complete the job on time. The job will not be started until we have all of the information on hand, and the ten day turnaround commitment will not commence until all information has been provided. This prevents inefficiencies of constantly putting down and picking up the job. If we find unexpected or additional information after we commence the job, we ask that wherever possible that it be provided the next business day, or as soon as practical. As we continue to improve our valued services, we ask you to pay for those services in an efficient manner. We do offer fixed price quotations with monthly payment options if this could be of benefit. We endeavour to provide an accurate quotation for the job upfront, before the job commences. This price is based on our understanding of the job, and the amount of time taken to complete the job in previous years. We will provide a formal written Terms of Engagement document which outlines the price, scope of the job, and terms. We will not commence the job until this document is signed. In the event that we find that additional work is required to complete the job, we will advise you immediately of the change in the scope and price to complete that job; and will not proceed until you sign off on the updated engagement.